John De St. Croix set fire to a truck in which Michael Bridges, 43, and Desiree York, 36, were sleeping. 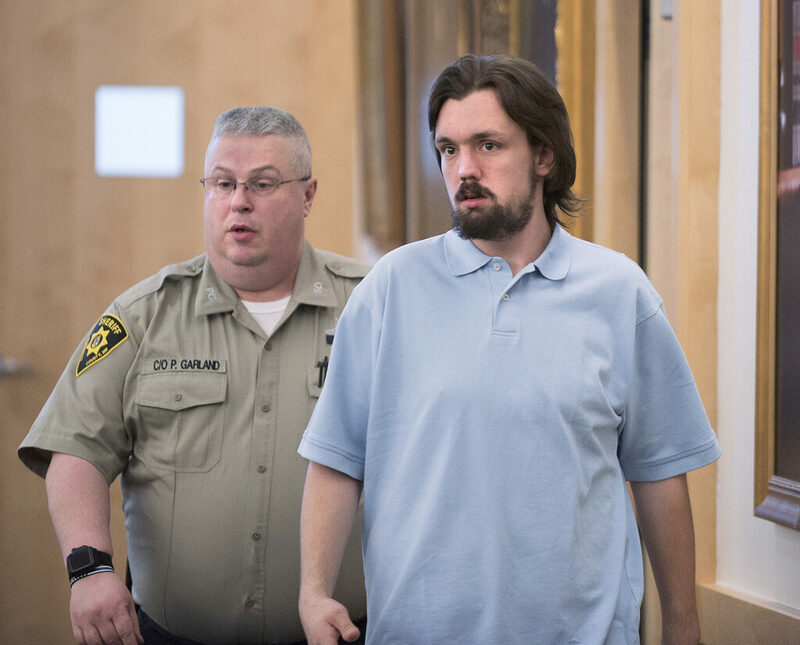 BANGOR — A homeless man accused of setting a delivery truck afire, killing two transients who’d been sleeping inside in Bangor, was convicted Friday of murder and arson. John De St. Croix, who declined to testify, showed no emotion but several of the victims’ family members quietly wept when the jury announced the verdicts, the Bangor Daily News reported . A witness testified that De St. Croix argued with one of the victims before the fire was set, and surveillance video placed him at the scene. But there was no physical evidence linking him to the fire, and no one testified that they saw him set the fire. The blaze fueled by cardboard and an accelerant was so hot that no one was able to rescue the victims, who were heard pounding on the walls in a frantic attempt to escape. Michael Bridges, 43, and Desiree York, 36, were killed in the blaze. But defense attorney Jeffrey Toothaker said the evidence didn’t prove who set the fire. “Who started this fire is the key issue, and they just have not proven it was my client,” he told jurors. Surveillance videos from security cameras showed a person who could not be identified move between a trash bin and the truck that night. A few minutes later, De St. Croix could be identified walking away from the fire carrying tools that had been left in the box truck. De St. Croix dialed 911 and later confessed to police. But jurors did not hear the taped confession because it happened after he’d requested a lawyer. Witnesses said all three were part of a group that had been drinking that night under a bridge. An autopsy indicates Bridges and York died of smoke inhalation and suffered burns on much of their bodies. York’s blood alcohol level was 0.35 percent and Bridges’ was 0.29 percent, far above the 0.08 percent limit for driving, officials said.